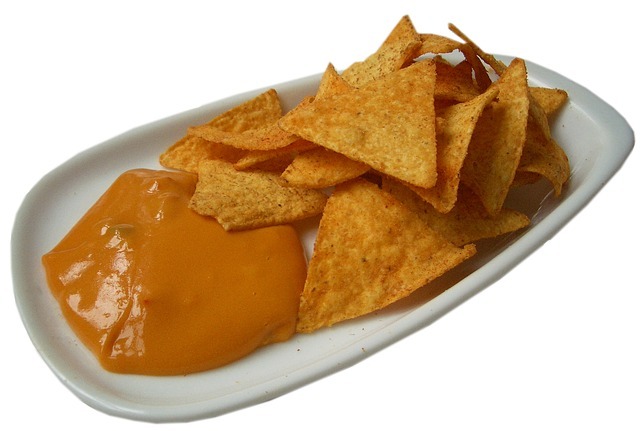 At house parties, before or after dinner, while watching a football match, at the cinema or barbecue, the Germans as probably most of nationalities if not all, love a snack. Sweet, sour or salty, caloric or too much caloric, you pick. Some are incredibly addicting, others might sound and look strange, either way, the vast majority of the Germans I know, love them all. Probably the most beloved and popular snack in Germany. 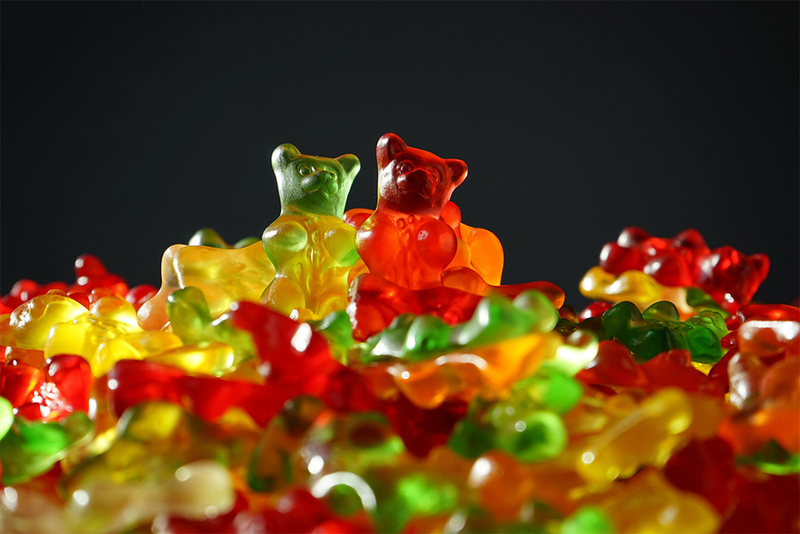 Gummy bears – Gummibärchen – and all his friends by Haribo are present in almost every party, dinner or any meetings with friends at home. You can be sure of something, among other sweet snacks served on the table, they are the first ones the Germans pick. These colourful gelatin candies were originated in Germany in the 1920’s by the famous Haribo company. The Germans love potatoes, and of course, chips too. While watching football with friends, there is always someone who has the idea of bringing a package or two. By the end of the match they will most probably be gone. Barbecue and paprika flavours are the most beloved ones. When I moved to Germany I was impressed by how sweet popcorn – süß popcorn – is preferred over the traditional salty one. When buying popcorn, if you don’t say you want it salty, the vendor will give you the sweet one. If you ask all the Germans which one they prefer, I am almost sure that sweet popcorn will win the battle easily. 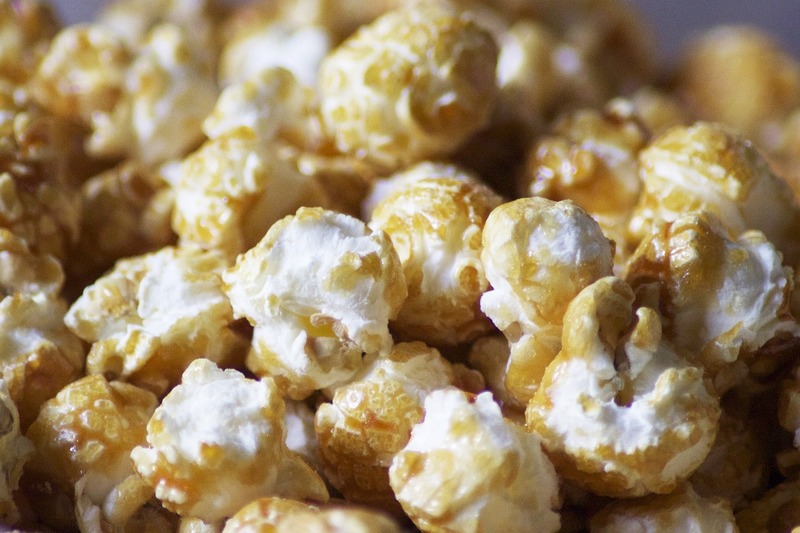 At the cinema, at the stadium, at the Oktoberfest, in supermarkets, sweet popcorn dominate, but of course, salty popcorn can be found everywhere too. Though, I know places that only sell the sweet one. These snacks are adored by my German friends, and I know I can never go wrong if I serve them. If they are spicy even better, the sauce is gone before I know it. 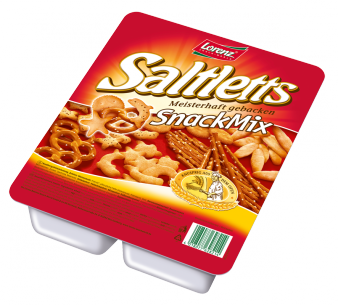 A small box with a mix of salty snacks, some are awesome, others aren’t really my taste. The package is divided so that each snack has its own individual box, which means you don’t have to open all at the same time. It’s practical and a great hint with friends over. Honestly? These are weird. 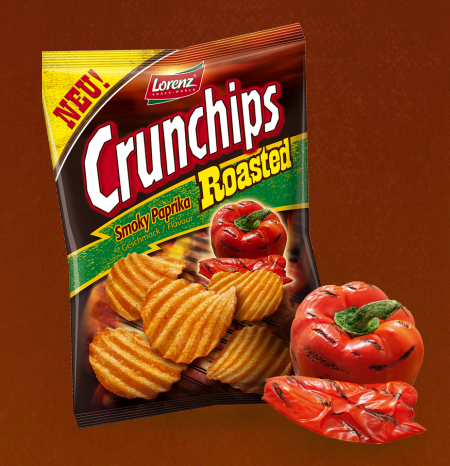 They are sweet-and-sour-crunchy peanut flavoured snacks. I still haven’t decided if I like them, but most Germans certainly do. 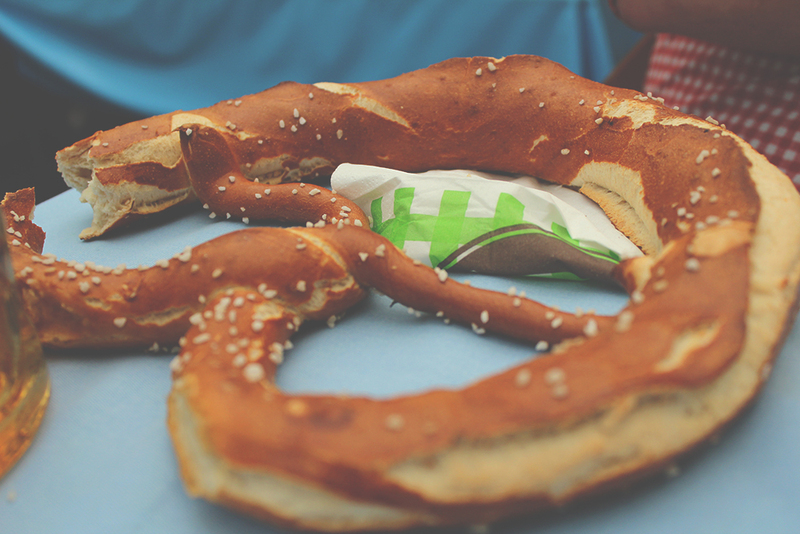 Ok, these are very Bavarian, but I couldn’t just not include them on this list. I am not sure how often Germans outside Bavaria eat them, but I can say that the Germans here eat them practically everyday. For breakfast, with lunch, as an afternoon snack or at night; with butter, obazda, plain, with cheese, with or without salt, you pick. I love it. These are the best! In Germany they are called Gebrannte Mandeln, sweet roasted almonds with a touch of cinnamon, they smell like Christmas and Christmas Markets where they are traditionally sold. They can be found around the streets in every season of the year . 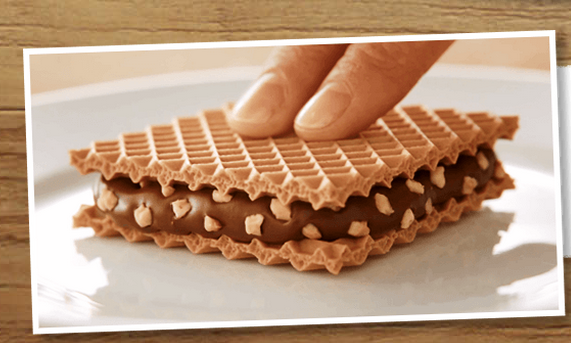 A simple waffle, chocolate and hazelnut, made by Ferrero. This snack is one of my favourites in Germany; it’s delicious and addicting. They can be found in normal and mini sizes, in small and big packages. These are chocolate pralines with a hazelnut topped with chocolate inside a caramel shell. Does it sound appealing to you? The Germans love it. 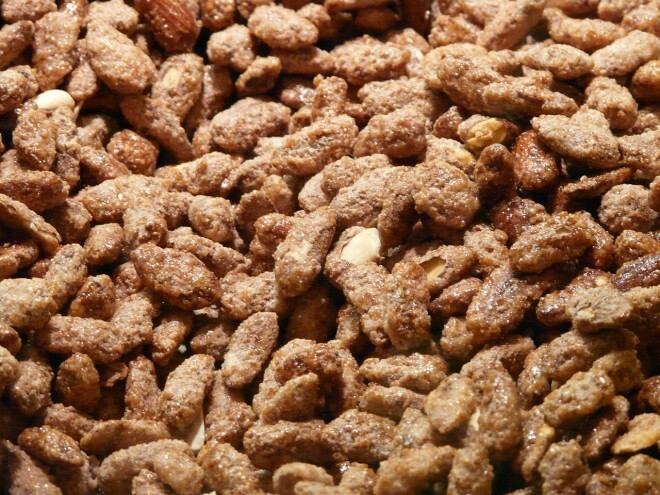 They are sweet, crunchy and sticky. Here in Germany it’s a great snack to eat while watching football games or after dinner. They were originally created in Germany, but nowadays can be found in other countries too. 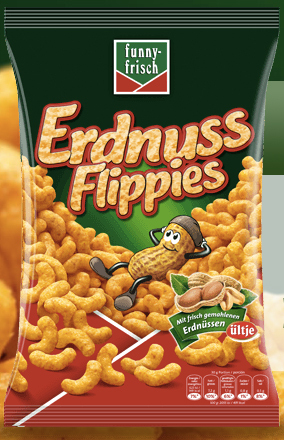 So, the only ones the taste of which I cannot imagine are the Erdnuss Flippies. And I totally want to try them!!! 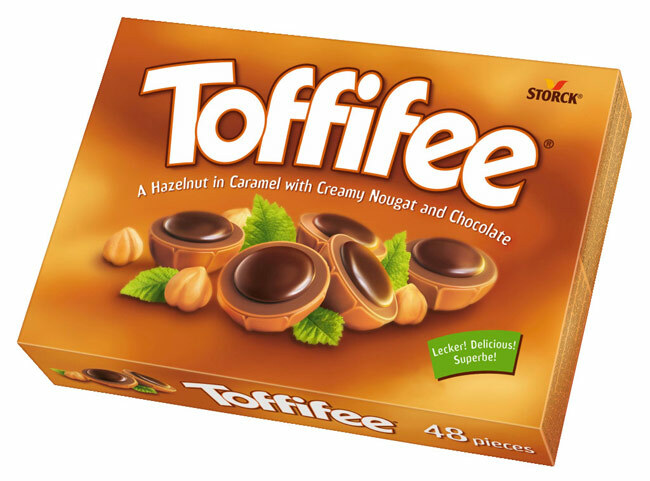 The rest I have had either in America or Russia – the toffee candies are VERY popular here, and gummy bears – in the US! Got to love Gold Bears. Also I love that the Haribo slogan rhymes in both English and German and is done to the same tune! hahaha I can imagine, they love doing that in Germany! 😀 I hope you husband liked it! 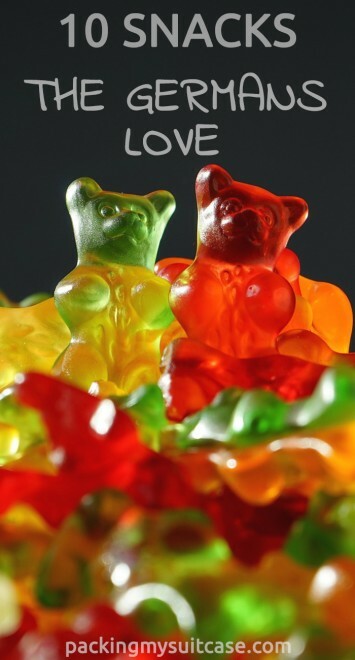 I had no idea gummy bears where so popular in Germany. 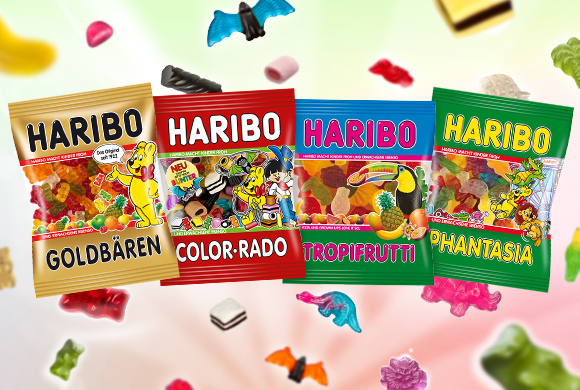 Haribo is pretty popular here in Spain, though not nearly as much as in Germany. 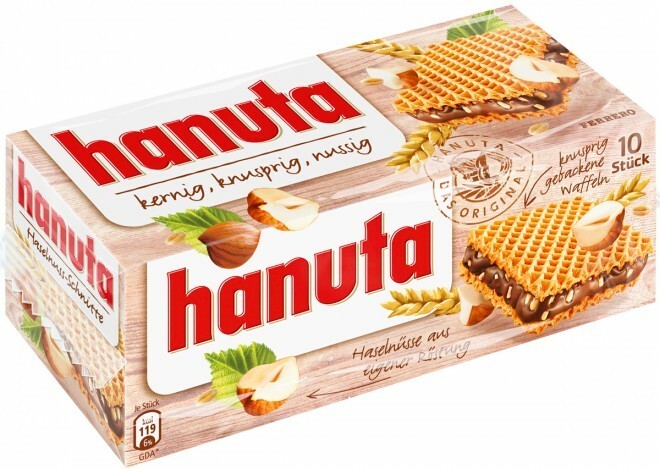 I’ll have to try Hanutas, they look so good! 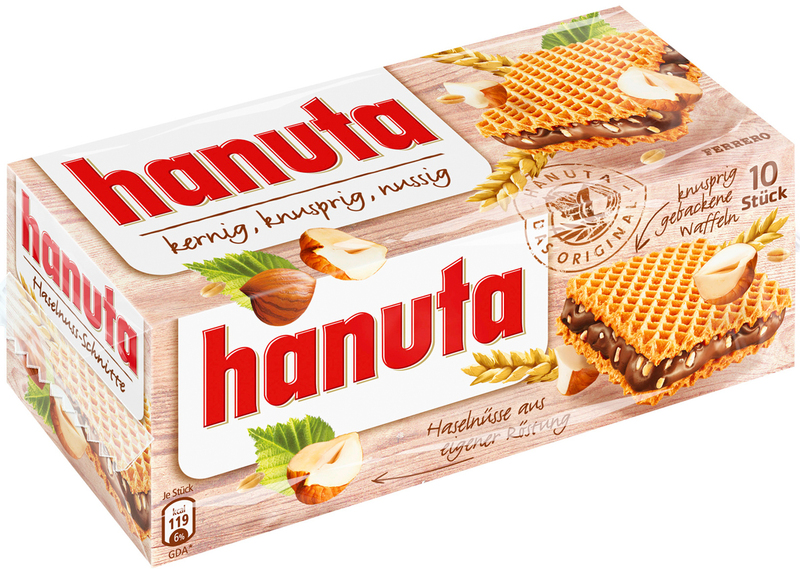 Yes, do try Hanuta, it’s amazing!! hahaha really? 😀 I like it too, but it’s not my favourite one of the list. hahahah do it, I looove it! !